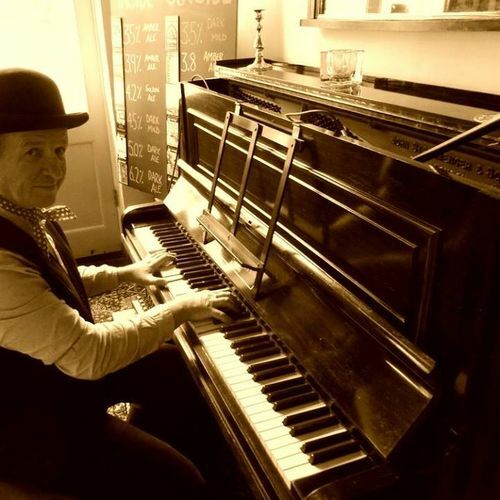 I'm a Cockney style singalong pianist specialising in good old fashioned pub entertainment for parties, Cockney nights, pie and mash evenings, VE celebrations etc. However, playing the old Cockney songs goes down really well for any occasion or party and everyone really enjoys singing the old songs. 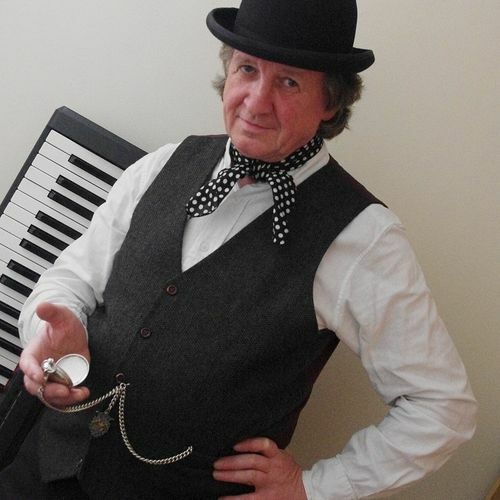 I can supply a portable electronic piano and all the necessary song sheets, so that all the client has to do is to provide some good hearty voices. I also set up a few microphones so that I can encourage members of the audience to come forward and help lead the singing. Besides the old Cockney favourites I also play music from other genres including: rock, pop, Latin, blues and country. I usually dress in Cockney style attire including a bowler hat, red neckerchief, waistcoat, pocket watch, grandad shirt etc. This all helps to give events authenticity and sets the mood. I provide good old fashioned pub entertainment the way it used to be. I try and make every party smile! 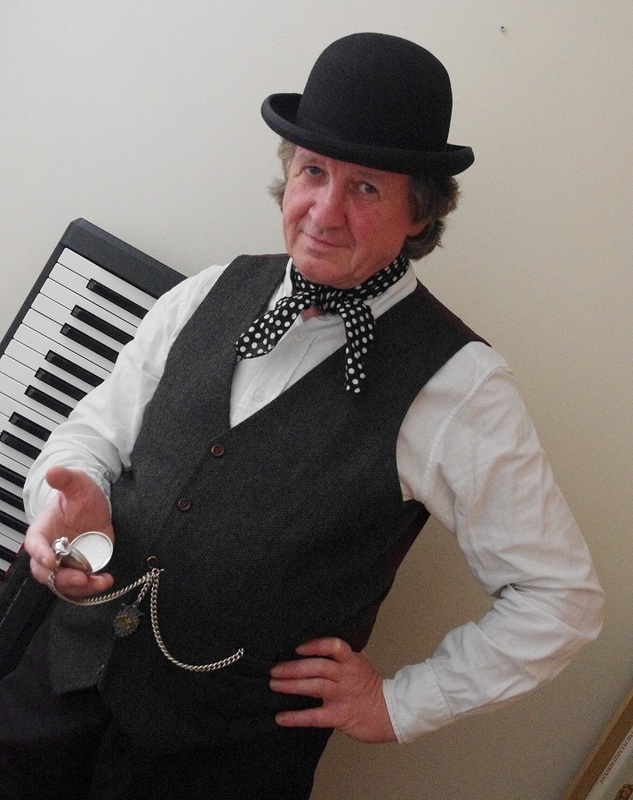 Essentially a jazz pianist but our pianist can provide music or entertainment for any party or event. 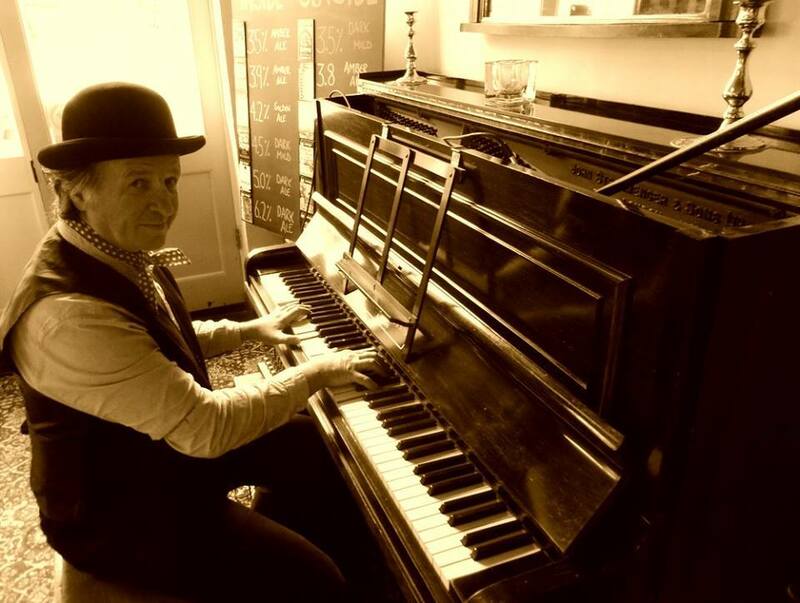 He plays at many weddings and civil partnerships and can also provide classical piano music for the wedding and civil partnership ceremonies. Whilst some would describe him as a jazz pianist he can also be a cocktail pianist or lounge pianist - his main influences being Shearing, Peterson, Monty Alexander and Dudley Moore. He plays music by Cole Porter, George Gershwin, Jerome Kern, Burt Bacharach and all the other great writers of melodic standards. Other genres which can be included include Latin, rock, pop and ragtime. Please listen to the audio clips below.